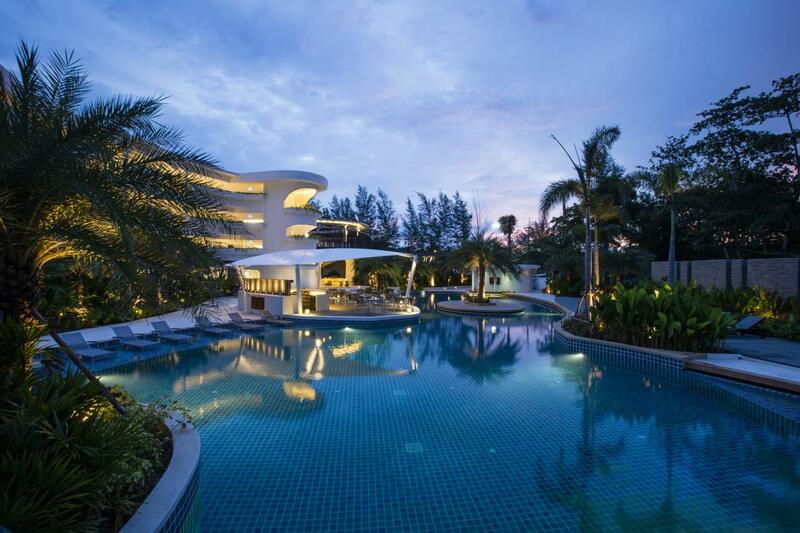 The Talay Karon Beach Resort Phuket, has been rebranded and is now known as the Novotel Phuket Karon Beach Resort & Spa. The Novotel at Karon Beach is a 4 star family friendly resort, located at the northern end of Karon Beach on the south west coast. Prior to the most recent branding the Talay Karon was formerly known as the Ramada Resort and is specifically designed for family vacations in Phuket. The resort is only a five minute walk to the beach and to all the restaurants, shopping, and bars in Karon Center. 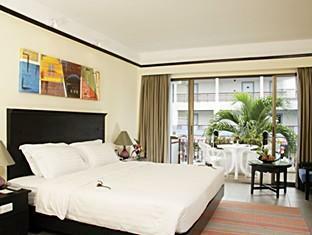 The room rates at the Novotel Karon Beach Resort are very affordable, and are ideal for those who are on a budget. 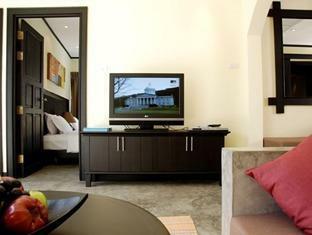 The resort has a selection of room types available with a total of 121 rooms and suites. 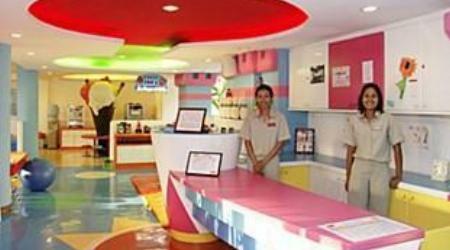 Including fourteen uniquely designed themed rooms, especially for the kids. 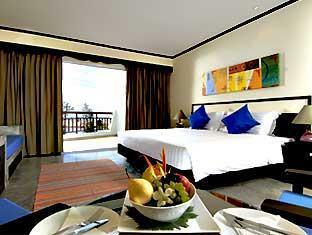 All rooms at the Novotel Karon Beach Resort have a balcony or terrace, with either ocean or pool views. In-room facilities include air conditioning, a hairdryer, mini bar, in room safe, telephone, tea & coffee making facilities and complimentary bottled water. Other features include electronic door locks, smoke detectors, satellite TV, bathrobes, 24 hour housekeeping and free WIFI. 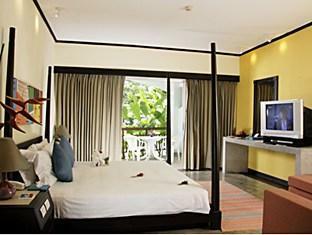 The deluxe rooms are slightly bigger and can sleep 2 adults. Junior suites are designed for those traveling without kids. They have a separate bedroom and living room as well as a Jacuzzi. The junior suites can sleep 2 adults. The two bedroom family suites can sleep 2 adults and 2 children. These rooms are ideal for families with older children as they have a separate living room and a Jacuzzi. The main bedroom has a king sized bed and the second bedroom has twin beds. There is a range of facilities and services which include two swimming pools. The main swimming pool is located in the middle of the resort and is great for a relaxing swim. For the kids there is a water slide, and for Mum and Dad a poolside bar. The Kids Club is the hub of all services. Providing fun activities for the kids and entertainment for adults. Kids from the age of 4 to 14 can join in the fun at the Kidz Club, the fully supervised club has a range of programs to suit all ages as well as a multi activity centre. Other services and facilities at the resort include a fitness centre, a business centre, a meeting room and an in house spa which has a range of relaxation and massage therapies and treatments to enjoy. Located just down the road from the Novotel Karon Beach Resort is a seven eleven and some fantastic places to eat at much better prices then what you will pay within the resort. 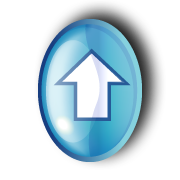 As with any resort or hotel, people have different opinions on their likes and dislikes. The Novotel Karon Beach Resort is excellent for families travelling with young kids, read hotel reviews written by other guests. Then read what other travelers have to say about their family vacations at the Talay Karon Beach Resort in Phuket on TripAdvisor.